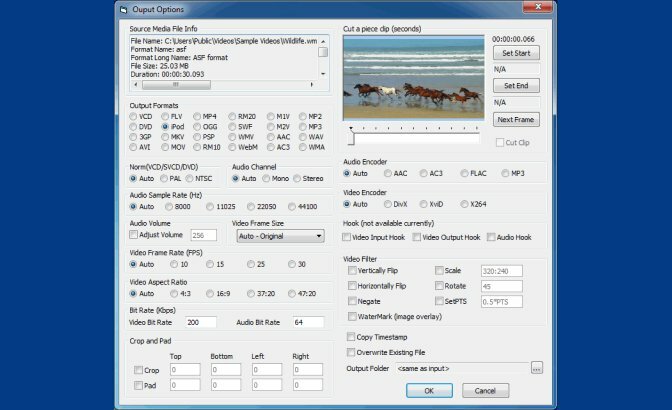 Looking for a video converter for Windows? The process of converting video files is can be considered to be easier than the process of editing videos but some people find it difficult because they believe they need an expensive and difficult video editor to convert their files. This belief is false as there are very good video editors for free video conversion. They are really free, are easy to use and support many video file formats. There are a lot of reasons as to why you might want to get a free video converter to convert your files to a different format. Part of these reasons may be that you might want to play a particular video on another device that doesn't support the format the video file originally comes in. Also, you might want to reduce the size of a video file so that you can play it on a device that has a limited capacity for storage. Or you might want to convert a video or movie so that you can easily share it with other people. To answer your question, we have put together a list of the top and best free video converters for Windows to give your videos a seamless finish. This list contains some of the fastest converters for your PC so that your edited movie will be ready in no time. This freeware is highly recommended and is a top free video converter for Windows (including Windows 10). The features it comes with are many and include a wide range of presets and live preview. It has the ability to totally process different media files in both video and audio formats such as P4(m4v), MKV, H.264(x264), MPEG-4, MPEG-2 and MP3, and any DVD or BluRay files that do not contain any type of copy protection. It is compatible with a wide range of audio and video formats. It has many features used for accurate video conversion. The process of conversion for video files is slow. Its interface takes time to learn. This is another best free video converter for converting media into various file formats. 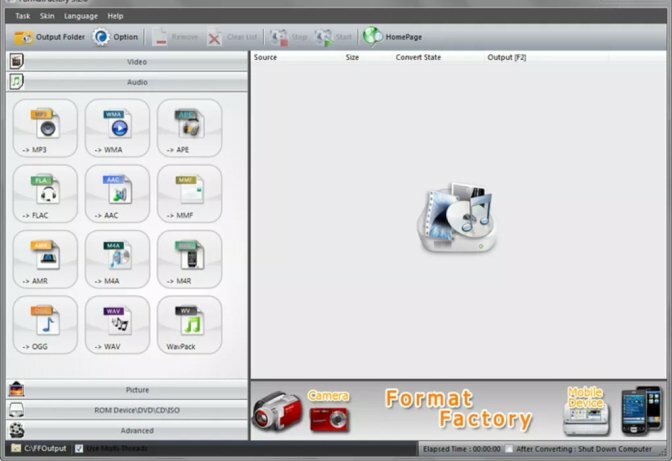 It supports file formats such as MPG, MP4, MP3, AVI, 3GP, OGG, BMP, TIF, TGA, ICO, WMA, SWF, FLV, JPG, WMV and many others and is compatible with Windows OS. Also, the program comes in 65 languages. It can be used to completely reduce the size of the file you want to be converted without a change in its resolution and HD quality. This freeware is modified and brought up to date on a regular basis. When downloaded, it comes in many languages. The conversion features it comes with are not many. The CPU usage it demands during the conversion process is a lot. Freemake is a top video converting software with a simple and easy to use interface. The video formats it supports are over two hundred and it allows you to download and then convert videos that are online, after which you can save them offline after conversion. It is fast and absolutely safe to use, and there are features it offers that let you add subtitles to video files and convert them to and from DVD. You can convert videos from online sources with the software. It has an easy to understand interface. Subtitles Pack needs to be purchased before you can edit imported subtitles. Its free full version comes with a watermark. This free video converter for Windows lets you open media formats that include MPEG files and can be used as an encoder for video files. Some features it offers include Cut, Trim, Paste and Copy so that you can edit your videos and convert them to muxed or demuxed files. The program supports formats like MPEG, VOB, PS, M2P, MOD, VRO, DAT, MOV, DV, AVI, MP4, TS, M2T, MMV, REC, VID, AVR, M2V, M1V, MPV, AIFF, M1A, MP2, MPA, AC3 etc. It is compatible with many different file formats. You are able to download videos online and convert them. Beginners might not find the user interface easy to understand. Its design is not very impressive. 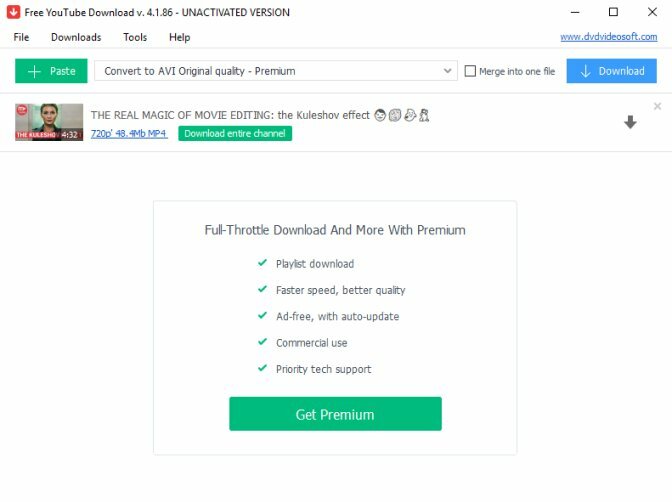 Another top video converter, this software is really free and makes video conversion and editing very convenient for the user. 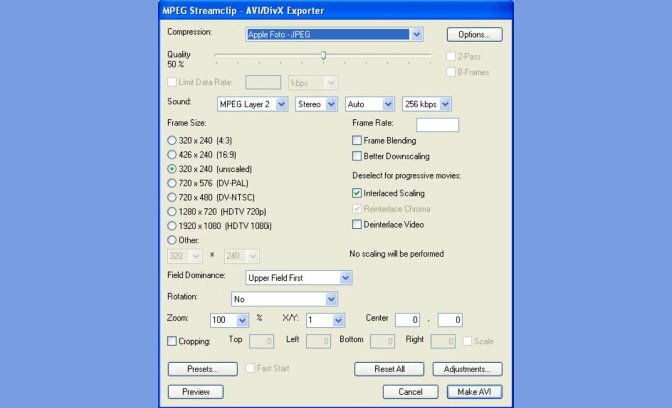 The features this freeware comes with include settings like resolution and a video encoder and it can convert a range of formats including MPEG, 3GP, FLV, MOV, MP4 MKV, and AVI. It is fast when converting videos. During the setup, it tries to install additional software. It doesn't have many conversion tools. This is a free video converter for Windows that allows for the good quality conversion of your files and supports many different file formats like AVI, MP3, and MP4. It comes with many features like presets and allows you to extract music from video files. FFMPEG has a fast file conversion rate and offers many tools to help you customize your videos and also comes with a converter for subtitles that allows VOB to SRT text format. It supports and is compatible with many file formats. It converts videos with a very fast speed. Beginners may find it hard to master its interface. 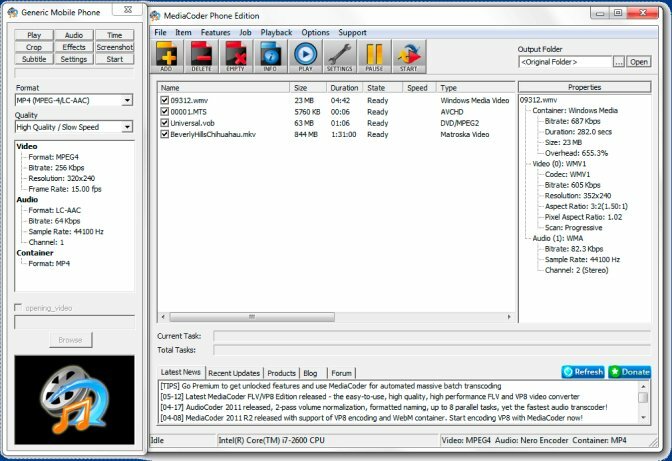 MediaCoder supports files in many different formats and from its features, you can improve your audio and video content by using different filters. As an added benefit, you can choose to adjust the rate of the bit and perimeter of other files. It allows for fast conversion of files while retaining their quality. You can convert videos to quarter-pixel and greyscale. It is mostly tech inclined so beginners may find it hard to understand. On their main page, there are a lot of buttons to download the software. With a simple and easy to use interface, Koyote is one of the top free video converters for Windows. It is very compatible with many file formats and can support different types of devices including Windows. And as an added feature, you can also extract music from the media files that you'll be converting and save them to use whenever you want. It is not restricted to Windows as converted files can be exported to other devices. You can process videos in batches and cut them with Koyote. Only a short preview of the file you want to be converted can be viewed. It does not come with many tools for conversion. These are the top and very best video converters for Windows and notable among them is the Movavi Video Converter. It presents a friendly interface for its users and supports many video file formats. It is fast and easily converts your media file while maintaining its good quality. 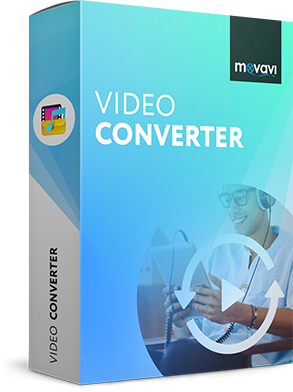 When looking for software for easy video conversion, be sure to include Movavi to get the best from your converted video.